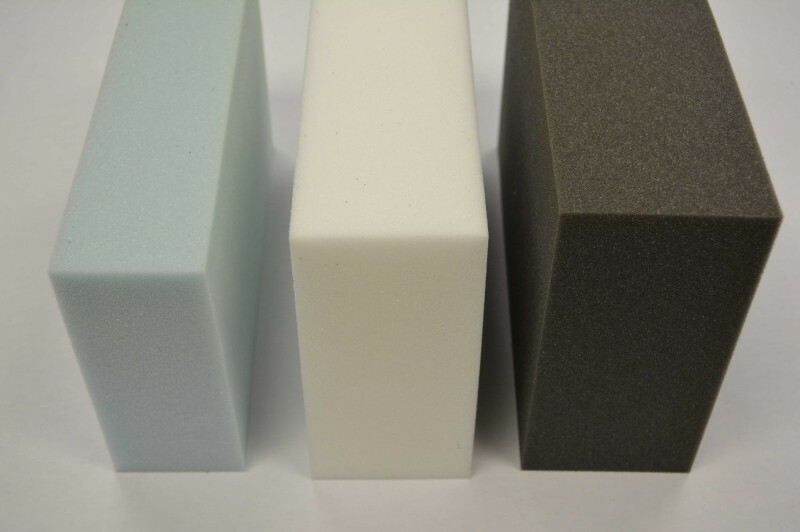 Open cell flexible polyurethane foam is widely used in furniture and mattresses. It is also used for seating in automobiles, buses, aircraft, boats, and other seating applications. Flexible polyurethane can also be used for packaging, sound control, insulation, and cushioning applications such as gym and stadium padding. Flexible polyurethane can be cut or fabricated to virtually any desired shape. It is available in different firmnesses and densities. It is also available in fire retardant varieties. 150°F Polyurethane can be cut or fabricated to virtually any desired shape. It is available in different firmnesses and densities. It is also available in fire retardant varieties. Numerous shapes, rolls, or sheets.